In this blog post, I’ll show how we can build a three-node cassandra cluster on Docker for testing. I’ll use official cassandra images instead of creating my own images, so all process will take only a few minutes (depending on your network connection). I assume that you have Docker installed on your PC, have internet connection (I was born in 1976 so it’s normal for me to ask this kind of questions) and your PC has at least 8 GB RAM. First of all, we need to assign about 5 GB RAM to Docker (in case it has less RAM assigned), because each node will require 1.5+ GB RAM to work properly. 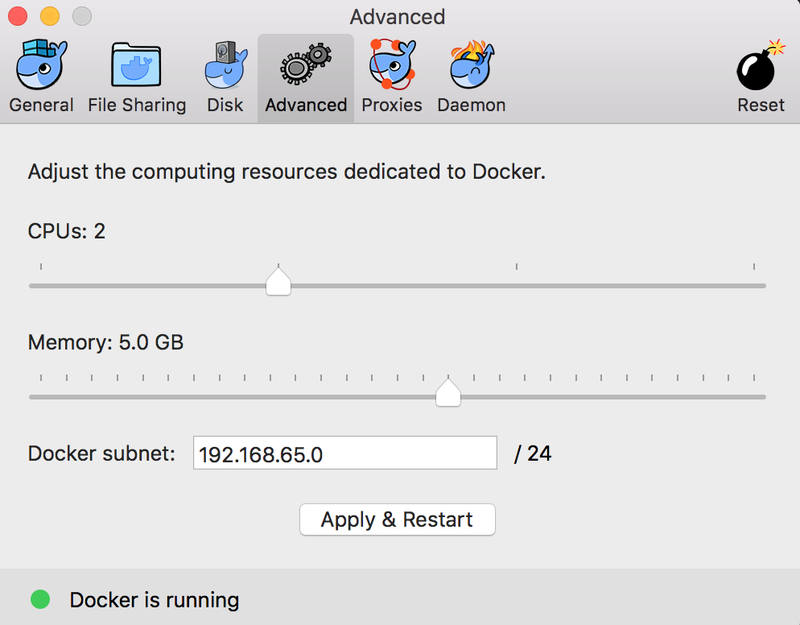 Open the docker preferences, click the advanced tab, set the memory to 5 GB or more, and click “apply and restart” docker service. Launch a terminal window, run “docker pull cassandra” command to fetch the latest official cassandra image. The above code, connects to cas1 node and runs “nodetool status” command. If everything went fine, you should see something similar to below output. The status column of each node should show UN (node is UP and its state is Normal). If you see “UJ” that means your node is joining, just wait for a while and check it again. If your new nodes didn’t show up in the list, they probably crashed before they joined the cluster. In this case, you may restart the missing nodes. For example, if cas3 (the last node) didn’t joined to the cluster and it’s down, you can run “docker start cas3” command to start it. It’ll try to join the cluster automatically. As you can see, I gave the name of the keyspace as a parameter to nodetool, so it will show the distribution of our newly created keyspace. Did you notice that the nodes at datacenter1 shares data almost evenly, while the node at datacenter2 has replication of all data? Remember the replication strategy of our keyspace: Each datacenter stores one copy. Because there are two nodes in datacenter1, the data will be evenly distributed between these two nodes. You can shutdown nodes using “docker stop cas1 cas2 cas3” and then start them again with “docker start cas1 cas2 cas3”. So, we have a working Cassandra cluster which is deployed to multiple data centers. Use it for your tests! Do not forget to check my presentation about Cassandra. Gokhan Atil has over 15 years of experience in the IT industry and a strong background in database management (Oracle 8i,9i,10g,11g), software development and UNIX systems. He is an Oracle certified professional for EBS R12, Oracle 10g and 11g. Gokhan specializes in high availability solutions, performance tuning and monitoring tools. Gokhan is a founding member and current vice president of Turkish Oracle User Group (TROUG). He’s also a member of Independent Oracle User Group (IOUG). Gokhan presented at various conferences, and he is one of co-authors of “Expert Oracle Enterprise Manager 12c” book.